IT.integro among 2018 ERP Leaders in a ranking. See more! 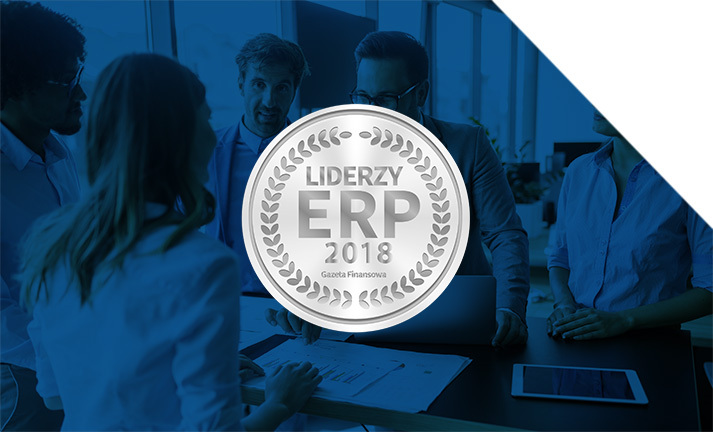 In March 2019, Gazeta Finansowa published their annual ERP Leaders report. IT.integro was nominated as one of best ERP system integrators and Microsoft Dynamics 365 Business Central (formerly Microsoft Dynamics NAV), implemented by IT.integro, was dubbed one of the most interesting ERP systems available on the market. The ERP Leaders report is a listing of the best ERP solutions that are available on the Polish market. This year, Dynamics 365 Business Central joined the prestigious group of awarded solutions. Microsoft Dynamics 365 Business Central is an innovative and comprehensive ERP solution designed to streamline the management of all business areas: finance, sales, purchase, customer relations, service and production. It is highly intuitive, fast to implement and easy to use. Dynamics 365 Business Central is a modern business platform. You can easily and quickly tailor, extend and build applications so they fit your specific needs — with little to no code development. As a wide range of extensions and applications is available on Microsoft AppSource, you can adjust the functionality to meet the individual needs of your business. The solution provides a modern and familiar experience with built-in insights, intelligence and workflow and ensures consistency, interoperability and extensibility. In addition to the Business Gazelle and Forbes Diamonds awards, the ERP Leader title is another important distinction IT.integro received in 2019. All titles are the official confirmation of high-quality work standards and employees’ commitment to customer satisfaction.